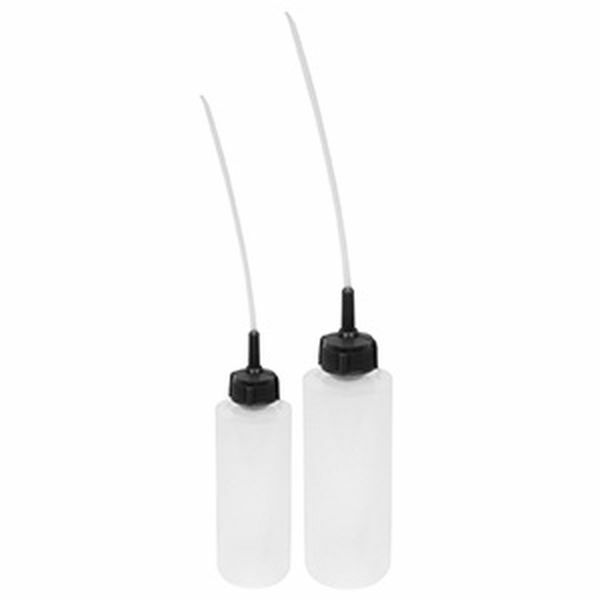 Polyethylene squeeze bottle has a flexible spout enable it to reach anywhere. A shut off valve is located in the cap thereby reducing lost tips. Simply pull spout to dispense liquid. Push spout to shut off.